When Lala was little, meaning even smaller than now, I fretted a lot about SIDS and all the precautions doctors tell you to take to make sure little babies sleep safe. 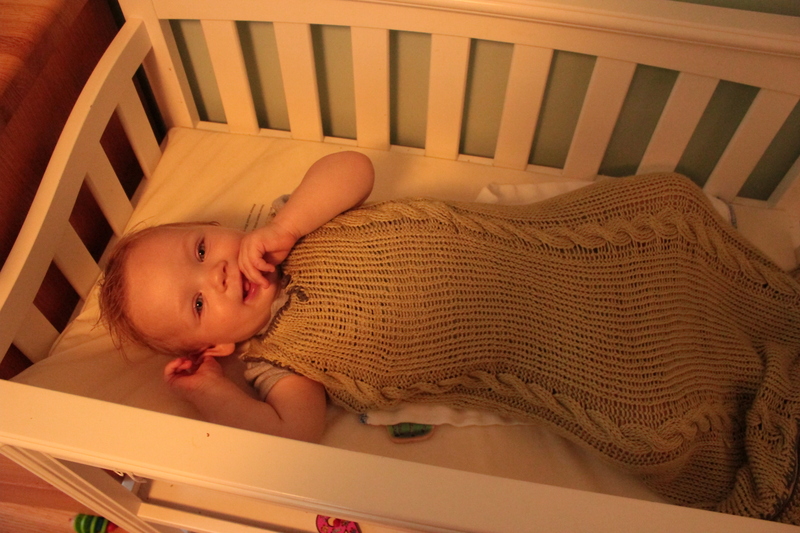 Once he was out of swaddling by about 4 months old, I searched high and low all the baby stores for sleepsacks, sleeping bags, wearable blankets. It was winter, so I was looking for something warm, fleecy, and with long sleeves, then it turned to summer , it got warm and he had grown a lot, so I wanted something that’s breezy but still keeps the dawntime chill away, and long enough for a very tall one-year-old. 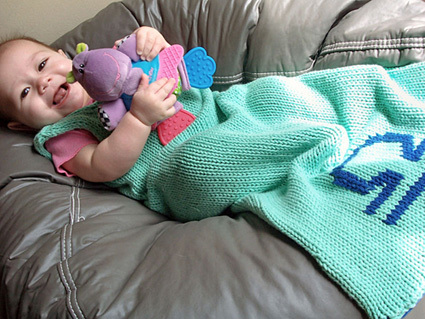 I was stunned that although every baby store and internet outlet is full of baby blankets, there are very few brands that manufacture sleepsacks. Ironic, considering that loose blankets are not recommended for at least a year, and even after that babies and toddler tend to kick off their blankets. Thankfully I found this pattern on knitty. It is knit in the round, and was surprised how fast it was finished. It was easy enough to knit while keeping one eye on a toddling and waddling bebeh learning to walk and already chasing cats. And he’s been sleeping so much better since. Now THAT’s a treasure.